Lots of people have been on an airplane, but how many people can say they’ve spent time in a helicopter? Going on a helicopter tour will undoubtedly be an experience you’ll never forget. Based in Farmingdale, New York, Flying Helicopters Made Easy is the region’s leading helicopter company. Whether you’re looking for a helicopter flight school or just want to be up in the air for a while, the professionals will provide an outstanding experience. Enjoy The View: To really appreciate the scale of many places, you have to see them from the air. Especially for a city like New York, the view from a helicopter is unparalleled. During the tour, you’ll have ample opportunities to capture some magical photographs and enjoy an incredible 360-degree view. Experience The Thrills: A pilot’s cockpit is another world away from the typical office window. Since helicopters are relatively small crafts, you’ll get to experience firsthand the thrill of flying—watch birds flying beneath you, listen to the radio chatter, and catch a glimpse of New York like you’ve never seen it before. In a completely safe environment, you can relish the pleasure of being immersed in the clouds and sky. Create Memories With Loved Ones: Few things are as memorable as flying in a helicopter. If you’re looking for a way to spend more time with loved ones—whether it’s a first date or quality time with family—a helicopter tour is an exciting and unique way to build your relationship and have fun. Save Some Cash: You may be surprised to learn how affordable helicopter tours are on Long Island. Tours in Manhattan are prohibitively expensive, but when you fly with an outer-borough pilot, you’ll save yourself some cash. With Flying Helicopters Made Easy, you’ll be able to enjoy a life-changing experience far above the clouds—and you’ll still have enough in your wallet to pay for dinner afterward. Preview A New Hobby: If you’re considering taking up helicopter piloting as a hobby, a tour is a great first step toward learning whether it’s something you actually want to pursue. You’ll be able to observe the pilot and get a sense of what it’s like to be behind the controls. If you decide you’re interested in flying, you can register to learn at Flying Helicopters Made Easy’s helicopter school. Don’t hesitate to reach out to Flying Helicopters Made Easy to schedule the flight of a lifetime. 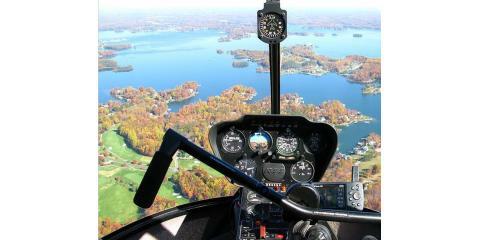 You can make an appointment for a helicopter tour by calling (855) 359-6969. To find out more about the company, feel free to visit their website.